(Ottawa, Ont.) Wheelchair Basketball Canada is now accepting nominations for the 2019 Awards and Hall of Fame. The deadline to submit nominations is March 10, 2019. 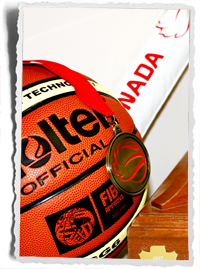 The award winners and Hall of Fame inductees will be announced at the Wheelchair Basketball Canada annual awards banquet which takes place during the 2018 Canadian Wheelchair Basketball League (CWBL) National Championship, from April 26, 2019 – April 28, 2019 in Charlottetown, PEI.